WINDSOR, Ont. – Worries about the escalating U.S.-Canada trade feud dominated the annual Automotive Parts Manufacturers’ Association Conference Wednesday. “We advocate for certainty,” Joe Hinrichs, executive vice-president and president, global operations, Ford Motor Co., said during a question-and-answer session before an audience of industry leaders. Optimism that a deal on a renegotiated North American Free Trade Agreement would be reached before the summer evaporated last week after U.S. President Donald Trump announced steep tariffs on aluminum and steel imported from Canada, Mexico and the European Union. Canada responded with plans to slap tariffs on a range of American goods effective July 1. Worries were compounded by word this week that Trump was also considering seeking bilateral trade deals with Canada and Mexico. 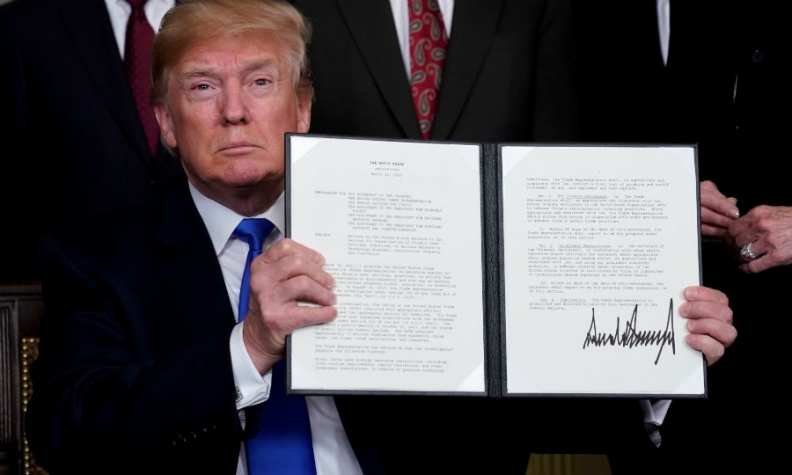 The U.S. president imposed the tariffs, citing national security concerns about the impact those imported products were having on American domestic industries. “This is going to do damage to the United States as well as to Canada and Mexico,” Federal New Democrat MP Tracey Ramsey of Essex said during a NAFTA panel discussion. Tim Quinlan, senior economist, director of Wells Fargo Securities, said he was heartened by the mounting opposition among U.S. Republic and corporate leaders to Trump’s pronouncements. “With both business and growing numbers of members of Congress standing up against this one-man wrecking ball, hopefully that will start to put some restrictions [on Trump],” Quinlan said. Kristin Dziczek, vice-president, industry, labour and economics at the Ann Arbor, Mich.-based Center for Automotive Research, applauded the anti-tariff campaign announced by Conservative billionaire brothers David and Charles Koch. Dziczek also scoffed at Trump’s claim that tariffs on Canadian-made steel and aluminum were needed to protect Americans.